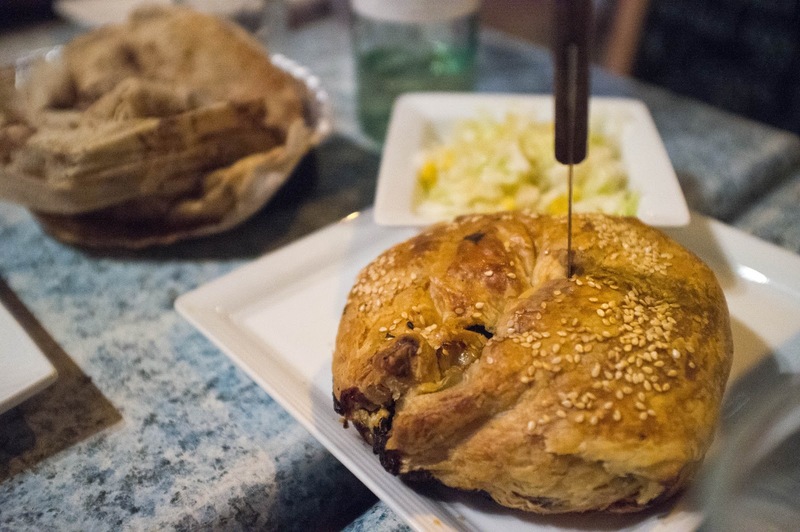 Ordering was easy since getting a Bourekas is an absolute must (flaky pastry covering a rich cheese filling mixed with whatever the daily special is, today was spinach). I didn't see the Gazala's Platter we got last time on the menu, but found a Vegetarian Appetizer Sampler which was very similar. 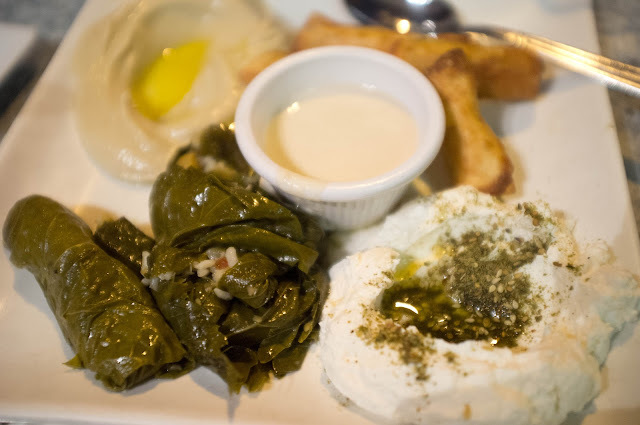 I chose the Potato Cigar, Tahini, Grape Leaves, and Hummus. We also ordered a large Tabouli, but this came out quite a bit later and by that time we were caught up in conversation so I didn't want to interrupt for pictures. For dessert we got the Baklava again. A perfect two-bite way to end the meal on a sweet note without leaving overly stuffed!